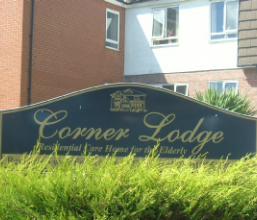 The Corner House Care Ltd is an award winning care home based in Clacton on Sea, Essex, in the Tendring area. We are long established and reputable, with an understanding of important factors which make a home outstanding for our elderly residents. Other such pilots leading to improvements include: Drs in a car, District Nurses Crisis Response, Palliative Care in Homes & Emergency Admission pilot. The team participate in strategy groups: Better Hospital Transfer Network and developing the Essex CC quality improvement framework. Corner Lodge Ltd is our lovely purpose built sister home, specialising in Dementia Care, based in Clacton On Sea (tel: 01255 220228 cornerlodgecare@aol.com). Corner Lodge is committed to providing outstanding care & is run with the same ethos & philosophy. Although at Corner House we take residents who have dementia, there comes a point where we believe a specialist home is more suitable to give the personalised care they deserve. Please visit www.cornerlodgecare.co.uk for more details. So, if you are looking for a reputable & sensitive care provider, who will try their best to understand needs and goals, please contact us! Millard House is a family business with a passion to help and support the elderly. We aim to provide high quality care for the elderly including those affected by dementia. We understand the important factors in delivering person centred care, with staff training the key priority. Please visit www.millardcarehome.co.uk for more details.